Our Panel Table Top Displays are perfect for those who require a versatile yet ultra-portable display. 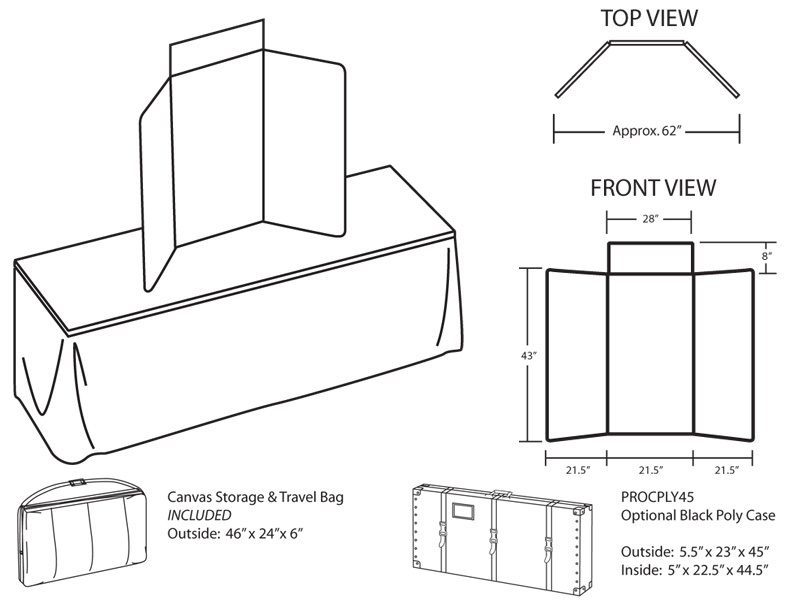 These table top exhibits are lightweight, affordable, and especially well fitted for sales or product demonstrations. 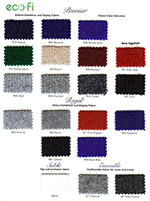 With so many different sizes and options there is sure to be one that fits each need. 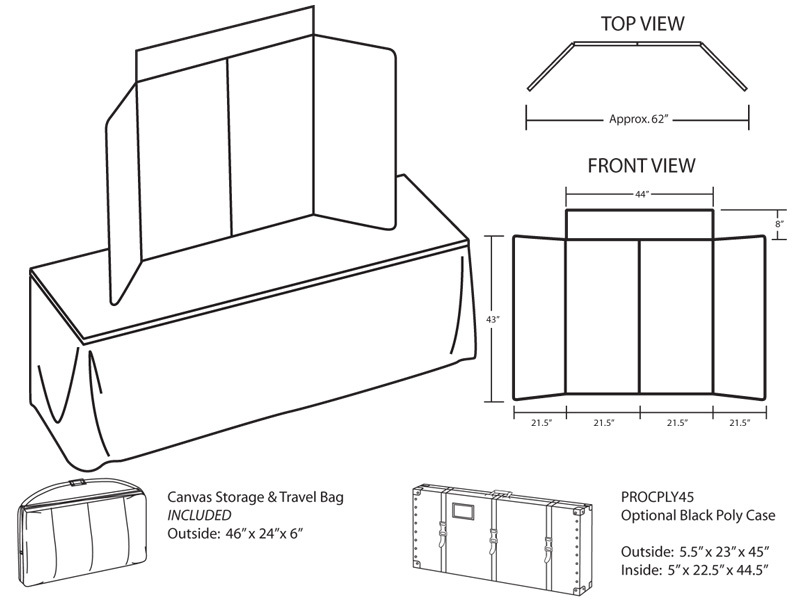 Use them for your traveling sales team’s quick presentations or for a tradeshow. Don’t leave your display in the closet… get noticed in your lobby or hallway. 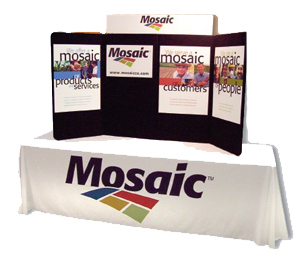 Our folding Table top displays are easily transported and set up in seconds by just one person. 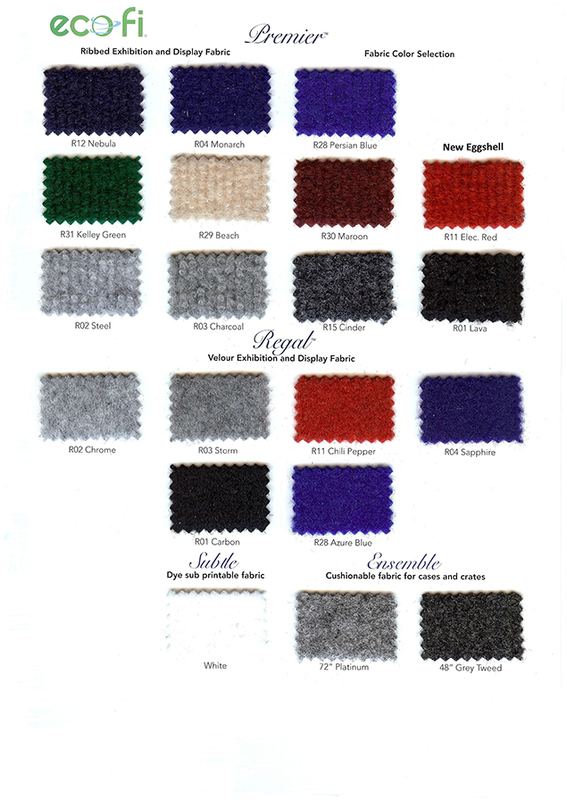 Coordinating table throws are also available to enhance the branding image of your display.